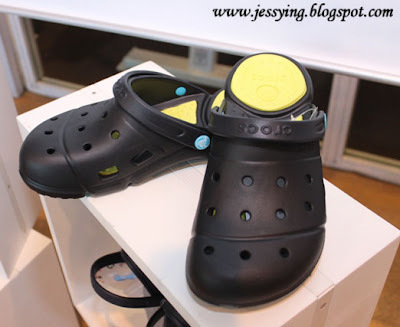 I was always told that everyone should own at least a pair of Crocs shoes because its not only the in-thing for now but it was a really comfortable shoes to wear. So I might at least half of the people reading this are Crocs lover right ? If you are, you should continue reading. 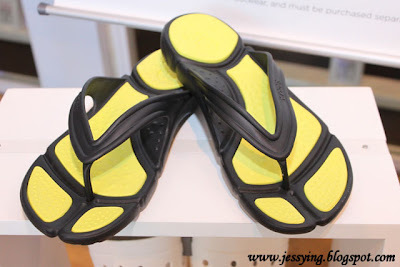 And if you do not own a pair of Crocs, you also should read to know why you should own one too! Few weeks ago, I attended the official media launch of the Crocs-Celebrity Fitness Joint Promotion in Celebrity Fitness in Midvalley. Apart from the joint promotion, Crocs has launched Crocs Tone™ and Prepair II at the event. 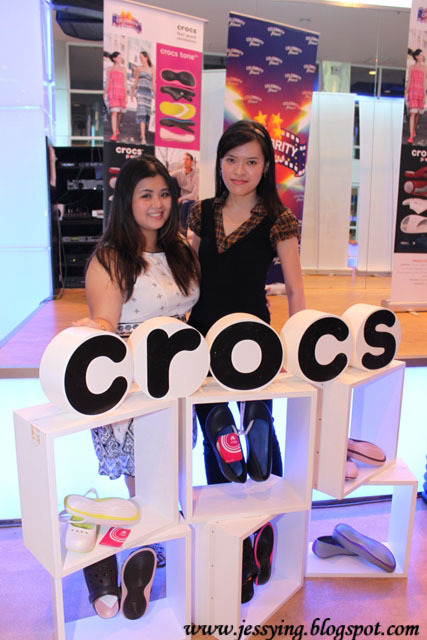 Crocs, the footwear brand that champions innovation, comfort and fun, has teamed up with popular Asian wellness chain Celebrity Fitness, to launch an attractive five-month joint promotion. 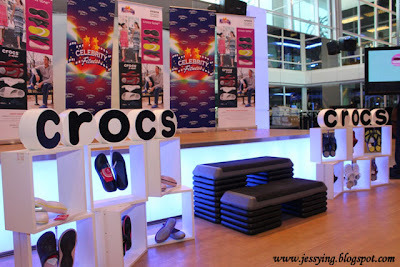 The promotions runs from now till December 31, 2011, customers are offered a special premium plus a free two-week trial at any of the nine Celebrity Fitness centers in the Klang Valley and Penang, upon purchasing a pair of Crocs Tone™ or Prepair II shoes at any of the 30 Crocs concept stores across the country. They are also eligible for a lucky draw, with six grand prizes consisting of a free three-month Celebrity Fitness membership and two personal training sessions worth RM1,100 each. GOOD NEWS is that today if you are Celebrity Fitness members, you will have the privilege of having 20% discount and receive a special Crocs premium when you purchase a pair of Crocs Tone™ or Prepair II footwear until 31st December 2011. So what is this Crocs Tone™ and Prepair II range?? Read the below to find out more. Crocs Tone™ and Prepair II shoes have been specially designed with the needs of fitness buffs andthe health-conscious in mind. 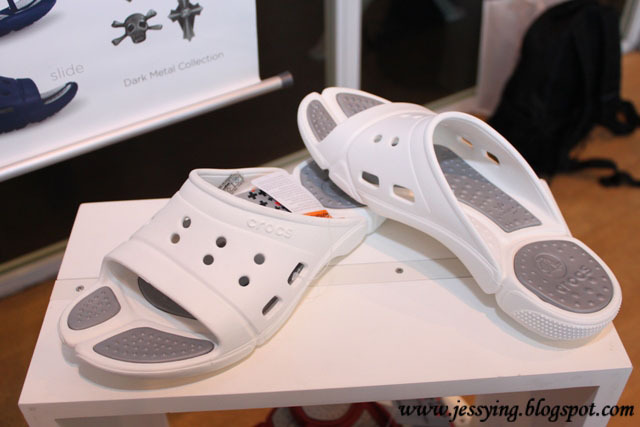 Crocs Tone™ designed specially for women who faced challenges of having conventional bulky, heavy and awkward-looking toning footwear. 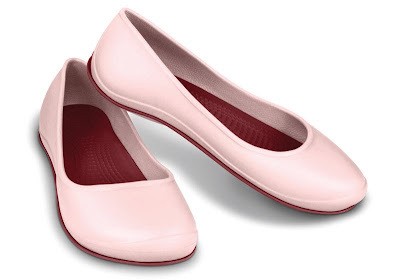 Crocs Tone™ shoes are not only stylish and lightweight but also discreet and fashionable. The toning features are not highly noticeable and the appearance is versatile enough to match a wide range of outfits. Featuring a patent-pending technology, Crocs Tone™ shoes are cleverly engineered to increase muscle activity, even after you have left the gym!! 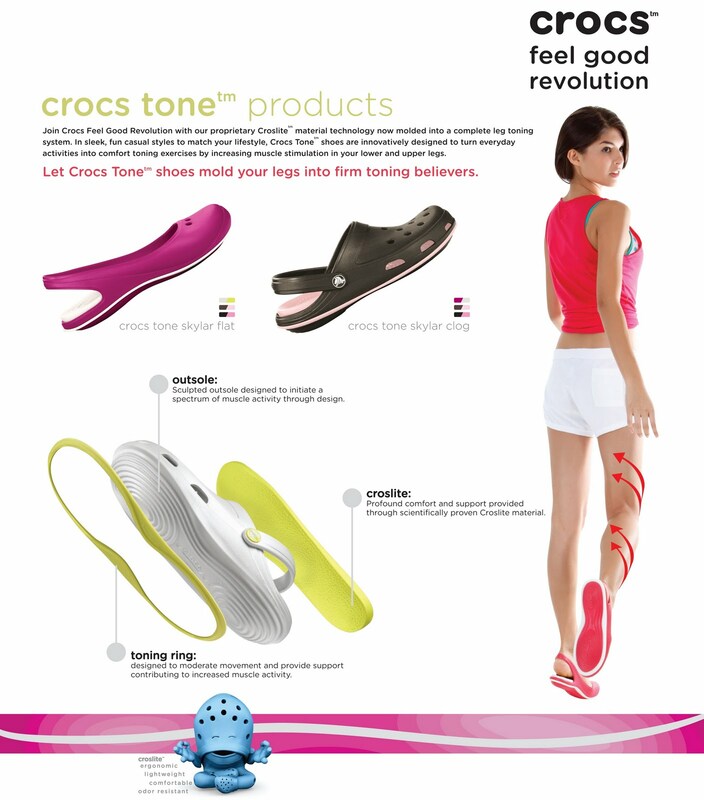 The unique three-part construction in every pair of Crocs Tone ™ shoes can assist you in achieving toning objectives with ease. The Julia Flat is fully-molded from the proprietary Croslite™ material, with a sculpted outsole that creates a rocker effect while you walk, initiating key muscle activity to contribute to your toning efforts. The comfortable, lightweight Croslite™ footbed provides all-day comfort and the unique toning rings offer stability and support. As for the men, the new Prepair II after-sports range are designed to help their legs to recover faster after intensive sporting exercise. Featuring SuperSoft Pods made from Croslite™ material. Prepair II provides superior cushioning and off-loading on key pressure points where your feet need it most. On the inside, the footbed is infused with silver Croslite Ag+™ and therefore odor-resistant and on the outsole, flex grooves mimic natural movement of the foot .The new Crocs ™ Prepair II range comes in three models . I personally like Crocs Tone Skylar Flat and think of getting one, and hope it would tone up my legs as I go shopping! 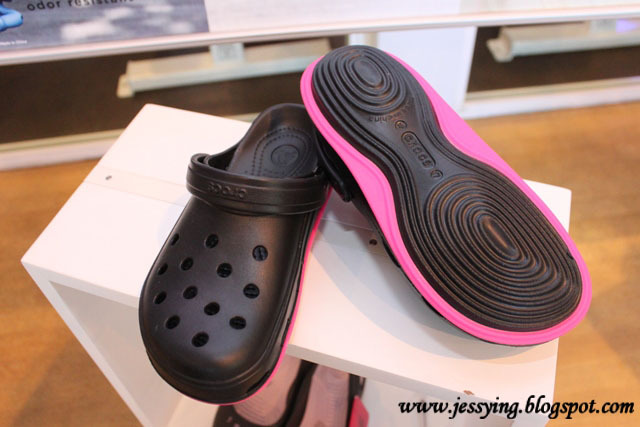 I love Crocs! It's my favorite weekend shoes..